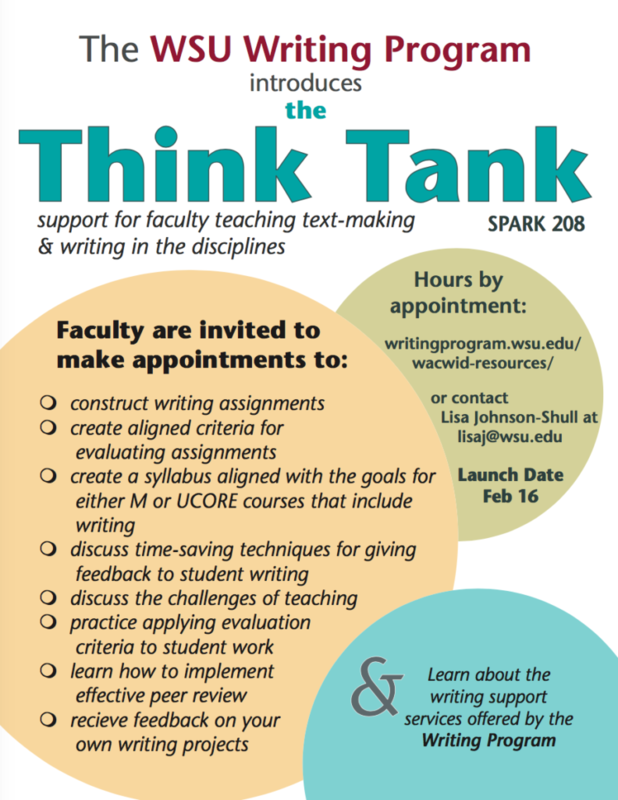 invites experts in the teaching and assessing of student writing to share research, scholarship, and experience to support teachers of writing at WSU. To make an appointment, head to our appointments page and choose “The Think Tank” from the drop-down menu. Instructions to register for an account are located directly above the drop-down menu.